River Front Park on an November 2004 day. From the West Rim Road area. 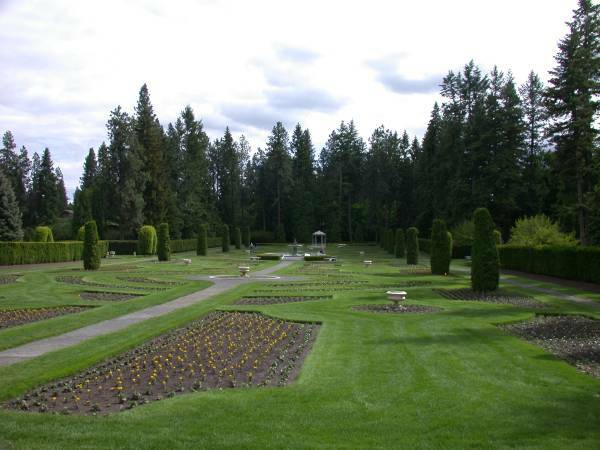 The formal English garden in Manito Park. A Christmas treat for shoppers at the River Front Mall. During the last stages of a 2 year reconstruction. This is a composition of three photographs combined for the panoramic effect. In the Bowl and Pitcher area. Cliff Edge road is a neighborhood street with a great view of the city. This winter view was a challenge, but the air was clear and the camera picked up an incredible amount of detail. This is a large photo, but if you save it to your computer, you can zoom in and see a what I mean.